Photos! 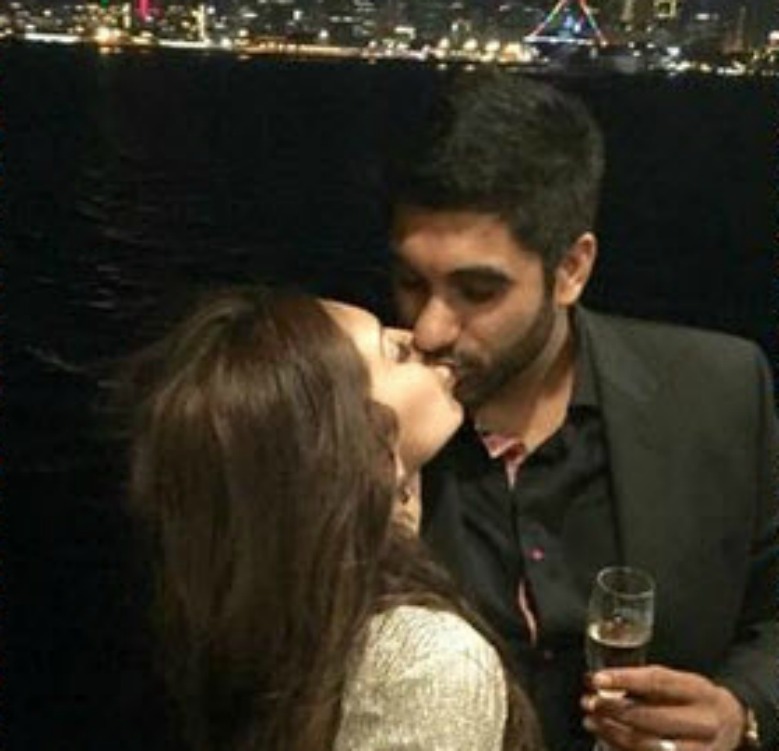 Farrah Abraham Celebrates the New Year with a New Man! Former ‘Teen Mom’ star Farrah Abraham may have a new love in her life! She shared the following collage of herself with a mystery man on New Years Eve. Farrah hasn’t said a word about her new romantic relationship but who would expect her to? This reality star gets a lot of heat from fans about pretty much everything she does ever since making the sad mistake of starring in an adult film. Farrah has been busy with her many business endeavors and still continues to make public appearances at bars and clubs and recently filmed as a real actress in a horror flick. She’s currently selling her house in Texas. Previous Previous post: Catelynn Lowell & Tyler Baltierra Gush Over Newborn Daughter! Next Next post: Farrah Abraham in the Hospital After Lip Injection Disaster! What about her kid? And why is she selling her house what did her mom and dad do now? She needs to grow up and stop taking her damn clothes off and be a mom and get a real job.